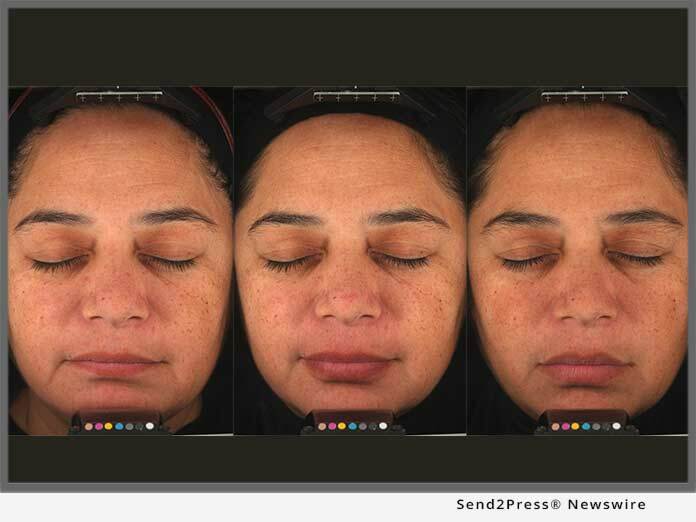 SAN FRANCISCO, Calif., Jul 09, 2018 (SEND2PRESS NEWSWIRE) -- When some customers showed concern over cupping marks after using the lip plumper manufactured by CandyLipz, LLC, the company quickly jumped into action. It hired a third-party independent investigative research vendor, Biometrix, Inc. - a company that has conducted clinical trials for major multinational biotech, dermatology, product manufacturers and more for 20 plus years - to prove that there was nothing to worry about. Thienna Ho, Ph.D., founder, CandyLipz, did some research of her own and learned that there were no hard and fast stats to be found on the effects of cupping. She found this surprising, especially after all the press hype that resulted from the 2016 Olympics - several swimmers sported cupping marks on their shoulders and backs. "I figured there was no time like the present to do a clinical study and get to the bottom of this ancient Chinese healing therapy which dates back to 1,500 B.C. and is also the basis of how the CandyLipz Lip Plumper delivers its lip enhancing results," Dr. Thienna says. The clinical study, "A Double-Blind, Randomized Placebo-Controlled Study to Access the Safety and Efficacy of an Over-The-Counter At-Home Lip Enhancer Device Intended to Induce Plumping of the Lips Sponsor: CandyLipz LLC," (Protocol: CAZ050217DVCA), evaluated approximately 50 women who were assigned use of the CandyLipz test device, in accordance with typical use instructions over the course of a 56-day period. The results showed 31 percent of these women had no marks, 45 percent had mild marks, 19 percent had moderate marks, and five percent had severe marks. The validated clinical findings revealed that cupping marks are actually erythema - or in plain English - a superficial reddening of the skin. The treated group didn't perceive any significant symptoms of subjective irritation, which included stinging, burning, itching, discomfort and pain, following use of the device as instructed and throughout the study period. While some subjects did exhibit "cupping marks" in the form of an erythemal response, it was determined that these marks were temporary and were observed in the absence of any pain or other discomfort. The device did not elicit any bruising, showed no sign of vascular hemorrhaging, capillary breakage or red blood cell leakage on the treated skin. "There are many negative aspects to filler injection procedures so I'm happy to have developed a safe and effective product for people who want to improve their lip appearance," Dr. Thienna says. "For most, the cost of the procedure and the need to follow up at a doctor's office are major deterrents for those who want fuller lips. I can now confidently report that the CandyLipz Lip Plumping System is clinically proven safe!" The most common traditional "cupping" method uses glass cups with heat to create suction on local skin. The CandyLipz lip plumping method uses hand-operated suction silicone tubes/bulbs with an internal mouth piece to shape, contour and plump lips naturally and without needles. This study sought to determine the effects of cupping in lip and lip area tissue as well as to define the physiological state of skin afflicted with cupping marks. It revealed that the CandyLipz Lip Plumping System is not only safe when used as directed, but that it also improves barrier skin health, increases lip volume by water accumulation and retention for 24 hours, increases vascularization and smooths wrinkles and lines in nine days. "Investing in this clinical trial is one of the best things I've done," Dr. Thienna says. CandyLipz has won more than 40 beauty/technical design awards and has been granted 35 plus patents, worldwide. It is the leading provider of natural lip enhancement products. Dr. Thienna Ho, founder, is also the creator of The Sulfur Diet as well as holding four Guinness World Records for endurance feats. She's one of the world's leading experts on skin health and has earned five academic degrees in economics (BA), microbiology (BS), genetic engineering (MA), Business Administration (MA) and scientific nutrition (PhD).